CLAPA was set up in 1979 as a partnership between people affected by cleft and health professionals and was entirely run by volunteers until Gareth Davies was appointed as the first CEO in 1995. Since then, CLAPA has grown into a national charity which is well-respected in the cleft world as the voice of patients and parents, but we are still committed to these founding principles of partnership, peer support and volunteering. 1988 – First edition of CLAPA News magazine is published. Previously, ‘News from CLAPA’ was distributed as a text-only newsletter. 1995 – Gareth Davies appointed as first Chief Executive. This was to give the charity more of a national focus. 1996 – The Clinical Standards Advisory Group (CSAG) sets up a panel to investigate the current state of cleft care in the UK with a view to improving the service provided. CLAPA is invited to join the panel, and runs a postal survey to gather the views of patients and parents to ensure they are represented in the final report. 1998 – Government accepts the Clinical Standards Advisory Group (CSAG) report into Services for Children with Cleft Lip and Palate, with recommendations including “a move towards 8-15 multidisciplinary cleft centres nationally”. This kicked off a complete overhaul of cleft care in the UK, and CLAPA was central to putting this in motion. 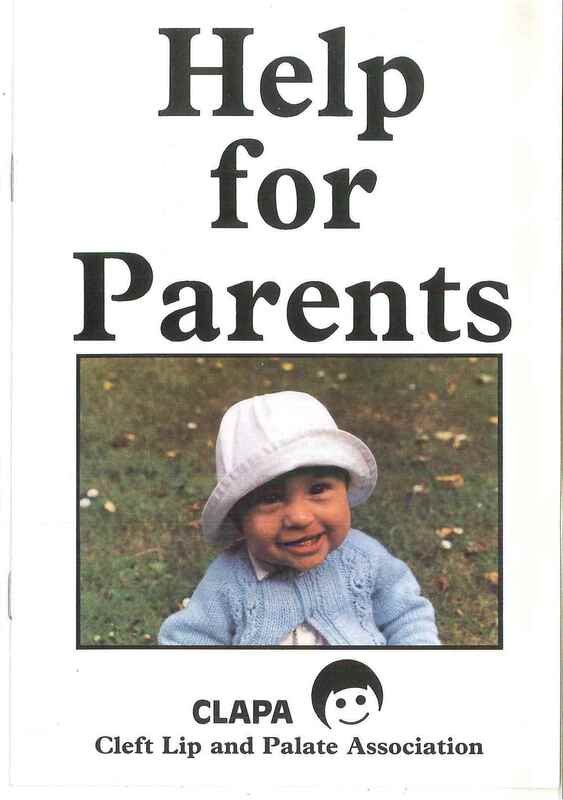 1999 – The Kings Fund supported a CLAPA project to reach out to all front line health professionals (midwives, nurses) to provide basic information on cleft lip and palate. 2000 – CLAPA launches a project targeting ultrasound clinics. This involved producing a set of guidelines on how to diagnose a cleft with an ultrasound scan and how to ‘break the news’ to expectant parents. 2001 – After three years of negotiation (with CLAPA CEO Gareth Davies representing the voice of patients) the sites of the new Cleft Teams are announced. Carol Vorderman becomes CLAPA’s Patron. 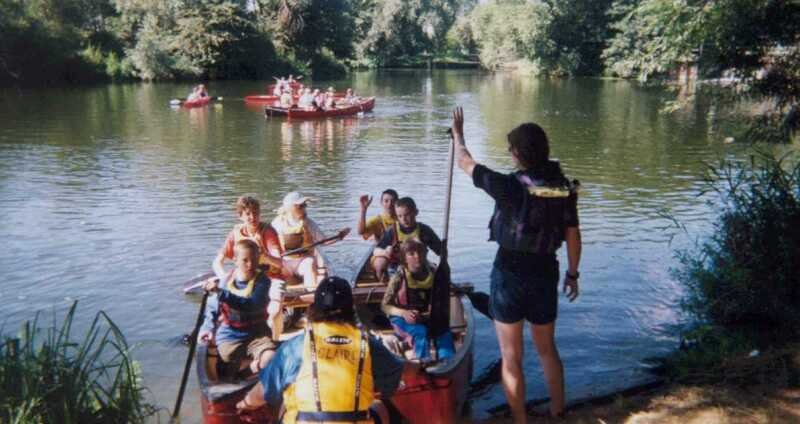 2002 – CLAPA’s first children’s camps were launched in Scotland. This year also saw the launch of a Department of Health funded pilot project to reach out to GP surgeries and community centres. 2003 – A new UK-wide training programme for Parent Contacts was launched. In-house trainers delivered the course all around the UK. New feeding bottles were researched, manufactured and launched in partnership with MAM UK. 2004 – CLAPA organises an international conference, ‘Cleft Care and the Patient in the UK, Europe and Beyond’ for its 25th anniversary. Our Silver Jubilee was marked with balloon launches by CLAPA Branches around the UK, and a celebrity-studded ball with our Patron Carol Vorderman. This year also saw CLAPA receiving a lottery grant to help coordinate, direct and resource our volunteers and Branches around the UK, as well as the launch of our Volunteer Skills programme. Due to a change in CLAPA’s governing documents, the charity was re-registered with Companies House on 16th August 2004. It was re-registered with the Charity Commission under its current charity number on 17th February 2005. 2005 – Founding member Michael Mars stood town as Chair of CLAPA’s Trustee Board and was replaced by Dermot Coleman. 2006 – A Strategic Review was launched which became the blueprint for the charity’s development over the next decade. CLAPA becomes an honorary member of researched-focused Healing Foundation. 2006-7 – CLAPA conducts a large-scale survey to look at how successful the regionalisation of cleft services had been. A report is published in 2007 which showed there was still much room for improvement. 2007 – Launch of a new CLAPA website as well as our free new baby Starter Packs (now called Welcome Packs). This year also saw the first CLAPA Conference for adults, entitled ‘Talking Clefts’, taking place in Birmingham. 2008 – Gareth Davies leaves CLAPA to set up the European Cleft Organisation (ECO) and Rosanna Preston is appointed as Chief Executive. The Children’s Council (now called the Children & Young People’s Council) was launched. 2010 – A national survey of CLAPA members revealed 89% thought it was important for CLAPA to have a local presence to provide local support and raise awareness. This directly informs CLAPA’s Strategic Plan. The first Adult Council (now called Adult Voices Council) meeting was held in London. 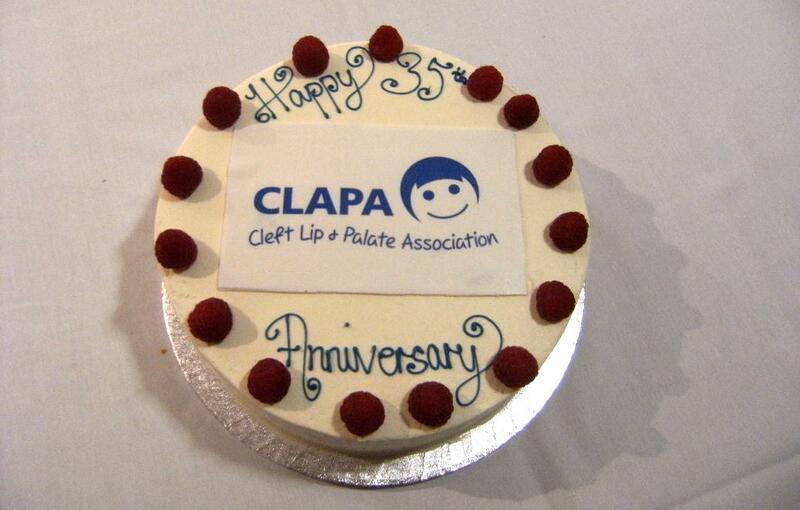 2013 – National Service Specification for cleft services in England and Wales is produced with involvement from CLAPA and patient reps.
2014 – CLAPA celebrates its 35th anniversary, runs its first ever Volunteer Awards ceremony, and appoints two new Regional Coordinators. 2015 – A five-year survey is conducted to see how things have changed since 2010. CLAPA grows to 15 members of staff. A new website based on two years of research and development is launched in December. The largest ever CLAPA Conference is held in London with the theme of ‘Taking Control’. 2016 – Rosanna Preston steps down as CEO, and Dr. David Stokes is appointed to the position. Dr Browns bottles and teats are added to CLAPA’s range of feeding equipment, resulting in a 50% increase in demand for our feeding service over the next two years. 2017 – Engagement Officers are recruited to ensure CLAPA has a member of staff generating local activity in each region of the UK. A new Children and Young People’s Council was formed in Scotland. CLAPA won the Charity Impact Award’s Health Category. 2018 – The Adult Services Project starts in March. New ‘CLAPA Groups‘ are launched to replace the outdated CLAPA Branch network. CLAPA wins the Asian Voice Charity Awards Charity of the Year. Our first Young Peer Supporters are trained. David Stokes steps down as Chief Executive, and Claire Cunniffe is appointed to the position. Claire joined CLAPA in 2011 as our first Regional Coordinator and has been Deputy CEO since 2016. 2019 – Celebrations are being planned to mark CLAPA’s 40th birthday year. Join the CLAPA Community to be the first to hear about how you can get involved. To find out more about where we have come from and where we are headed as an organisation, visit our Goals & Strategies page.